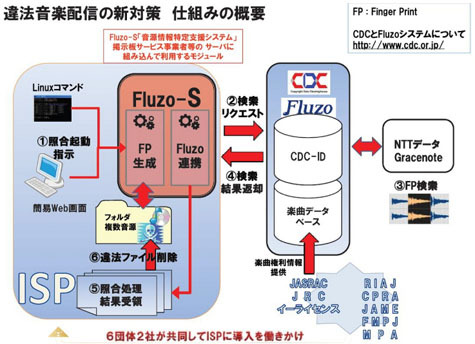 From October, knowingly uploading or simply downloading copyrighted material from the Internet will be a criminal offense subject to jail sentences in Japan. But despite now having the ultimate deterrent, it's still not enough for the Recording Industry Association of Japan. The group is now pressing for ISPs to install spying technologies that will automatically block unauthorized uploads. Earlier this week, Japan approved an amendment to its Copyright Law that will soon give the authorities the power to jail Internet users for up to two years for simply downloading copyright material. Uploading copyright material has been illegal for some time, but the criminalization of downloading has caused some to worry whether simply viewing a pirate music video on YouTube could render people liable to prosecution. Not surprisingly though, even the toughest of sanctions aren’t going to stop the big recording labels coming back for more mechanisms to protect their interests. And that they have. Several music rights groups including the Recording Industry Association of Japan say they have developed a system capable of automatically detecting unauthorized music uploads before they even hit the Internet. In order to do that though, Internet service providers are being asked to integrate the system into their networks. The system works by spying on the connections of users and comparing data being uploaded to the Internet with digital fingerprints held in an external database. As can be seen from the diagram, the fingerprinting technology employed is from GraceNote, with intermediate systems provided by Copyright Data Clearinghouse (CDC). Once a match is found, rightholders want ISPs to automatically block the allegedly infringing content. But according to one report, there may even be requests to send out warning letters to uploaders. If implemented this would amount to the most invasive “3 strikes” style regime anywhere in the world. The system is being promoted as a benefit to ISPs, in the sense that once installed (and licensed at a cost of around $600 per month) they can potentially avoid being held liable for copyright infringements carried out by their customers. Whether not having it installed will save ISPs from privacy invasion lawsuits remains to be seen. Rightsholders have tried to get service providers to install this kind of system before, most notably resulting in the legal battle between music rights group SABAM and Belgian ISP Scarlet. That case ended in 2011 with the European Court of Justice declaring that spying on Internet users would breach their privacy and violate the fundamental rights of both the ISP and its subscribers.